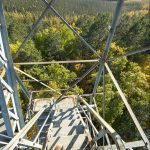 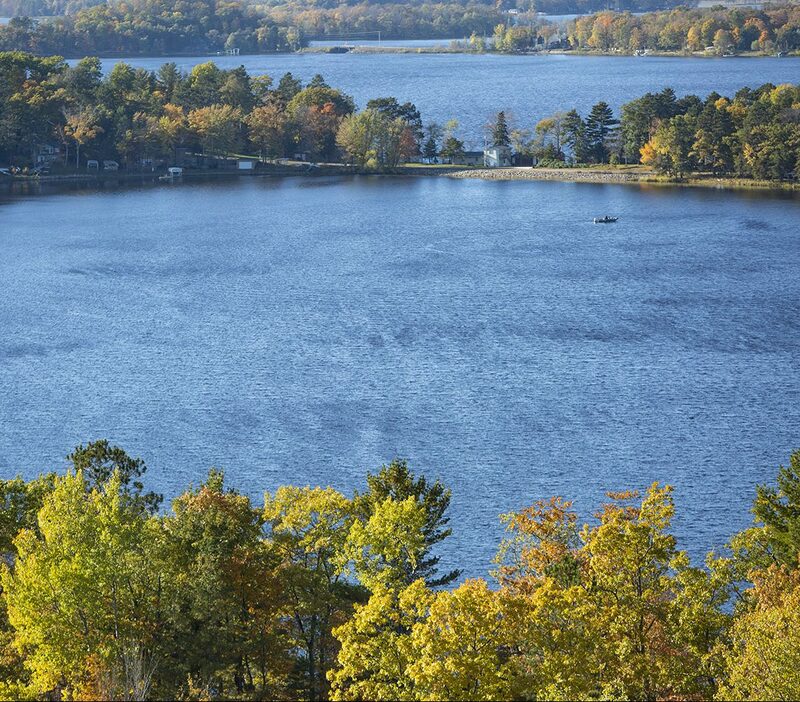 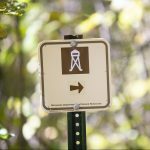 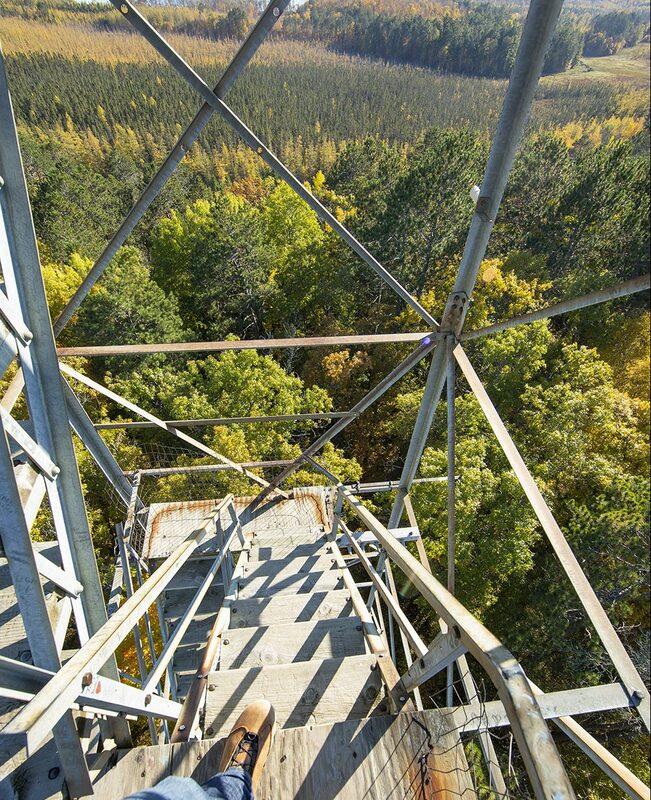 Constructed in 1933 by the Minnesota Division of Forestry, the Big Sandy Lake Fire Tower was restored in 1992. 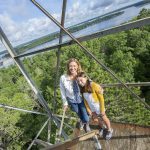 The tower is 94-feet tall and has a 7×7-foot cab. 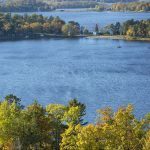 It is located in the Savanna State Forest, between Big Sandy Lake and Lake Minnewawa. 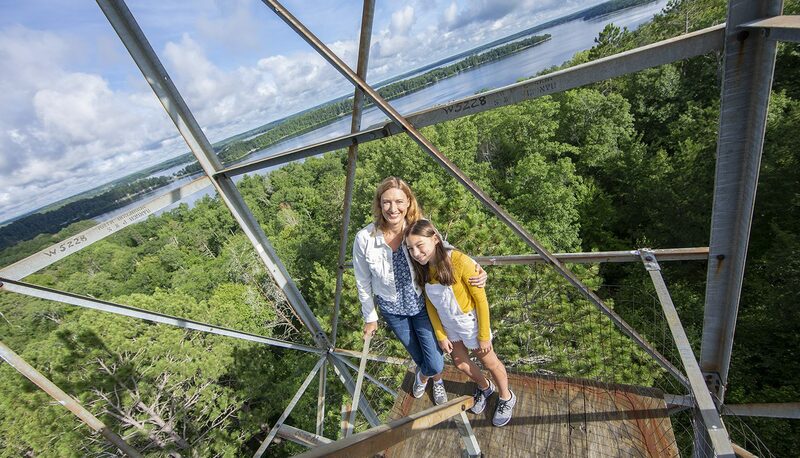 Tourists enjoy climbing to the top and seeing the vistas of lakes and forests that spread out in all directions.